Things like cotton swabs, plastic cups, cutlery, and toothbrushes might seem too tiny to do any harm to anyone. We don’t even want to think about it since we often believe that the impact of one person couldn’t make a difference. 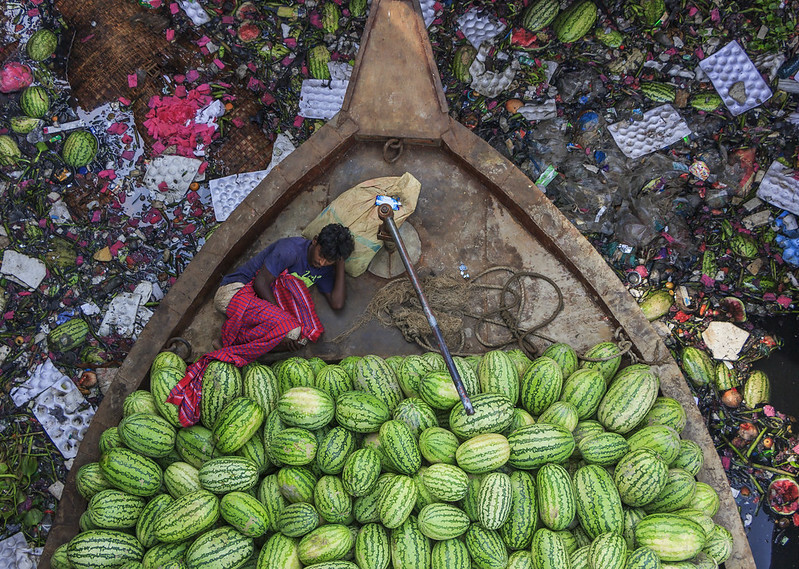 But with 7 million people thinking the exact same way, continual daily usage of plastic is creating irreversible consequences. The Bright Side team is trying to fight against plastic usage and prevent planet pollution. We decided it’s high time to raise alert and show our readers what humanity has done to our planet. 1. A crab floats in a plastic cup near the surface of the water in a cove in Batangas. 2. How long does a plastic bottle stay in the ocean for? Long enough to grow barnacles and not even start to break down in shape. 3. Since floating plastic looks a lot like a jellyfish, sea tortoises often mistake them for food. 4. A hermit crab tries to adapt to waste by using a light bulb as its new protective home. 5. After 2,500 barrels (105,000 gallons) of crude oil gushed onto San Refugio State Beach, staff and volunteers worked to clean oil off a brown pelican. 6. A member of the Sri Lankan coast guard was covered in oil as he worked to remove an oil spill at a beach in Uswetakeiyawa, Sri Lanka. 9. This little koala wandered back to its home only to find it had been cut down and chipped by logging operations. It had been sitting on top of the wood pile for over an hour looking confused. 10. A swan decided to build a nest using plastic garbage. 11. Buildings can barely be seen through smog behind an unfinished bridge in Tianjin, China. 13. In some regions of China, people have to wear masks to protect their lungs from air pollution. 14. 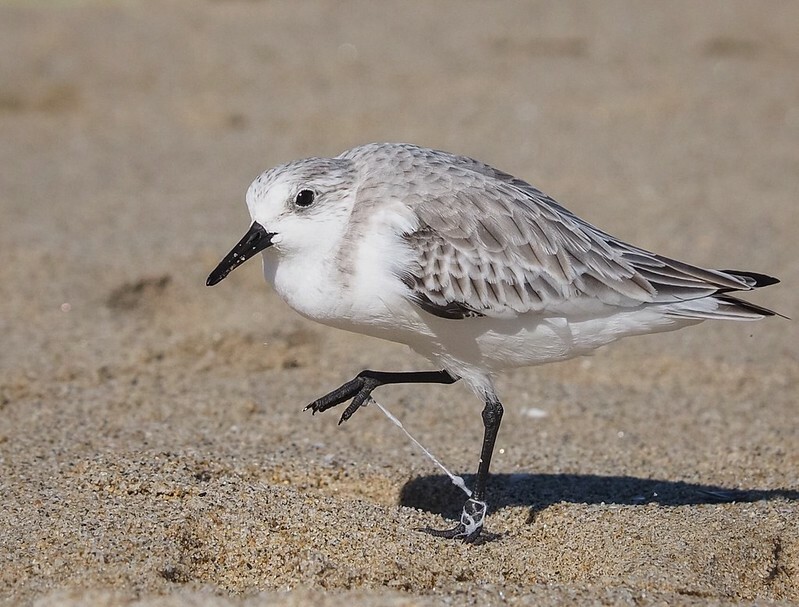 The sanderling’s legs were bound together by a plastic string, impairing its movements. 15. This is what coal and metal mining pollution actually looks like in a river. 17. What started as an opportunity to photograph amazing sea life ended in frustration. This sea horse drifts by with a cotton swab. 18. This sea turtle didn’t ask for a painful hourglass figure. 19. Plastic costumes are not meant for storks. 20. 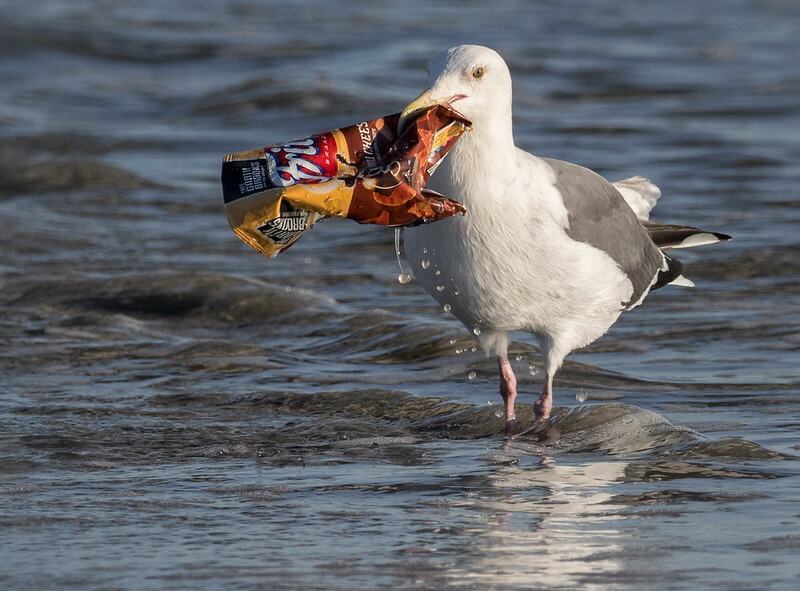 If people don’t want to clean up after themselves, then animals will start. 22. 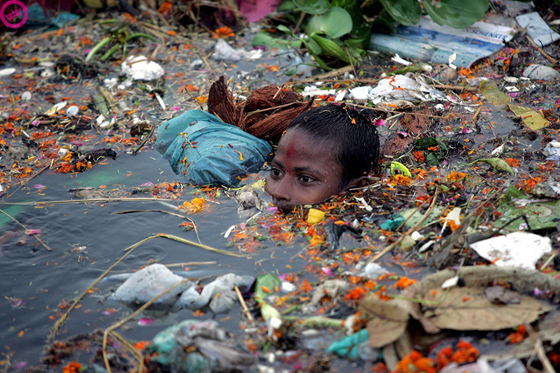 Chilling on warm sand or sitting among garbage? We get to decide. Do you try to avoid using plastic? Do you have any ideas on how to reduce pollution? We’d love to discuss it with you in the comment section.